thoughtful, and plan ahead a bit. Preparing in advance is a bit more work, but it saves us from last minute grocery store runs, giant fast food bills, and night after night of quesadillas, so I'd say so far it's worth it. I've shared some of our crockpot successes, but that's just the beginning. Last month I made Chai Cookies, for a tea-obsessed friend's birthday, and yesterday Dustin and I whipped up some Tortellini soup. It's been fun trying out some new things, and finally putting all the recipes I've saved or pinned to good use. Some people have fancy systems for planning meals (there's probably an ap for that...) but we're experimenting with using google calendar. We decided on various "theme nights", and set them up to repeat every few weeks. Each theme lasts two nights because typical recipes yield at least 4 servings. We plan the basics like pasta, sandwiches or grill out night, and of course my new love the slow cooker is incorporated. Then at the beginning of the week we map out specifically what we want for those meals. I've found that already having it narrowed down to a couple categories keeps me from getting overwhelmed with choices, but still forces us to get out of our comfort zone a bit. 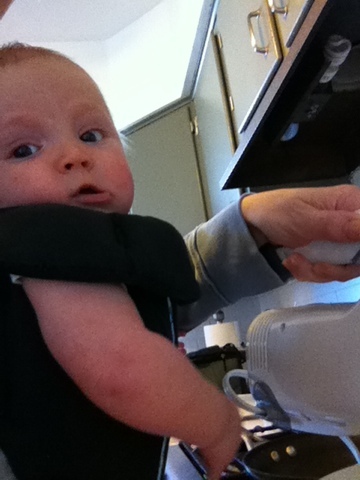 But the best part is, as we've been finding our grown-up groove with planning the meals, we've also found a little sous chef to help make our plans come to life. Yep- Piper is sling-ing for her supper! Because cooking meals, rather than relying on the microwave or the drive thru, actually takes some time, we've turned it into a family affair. 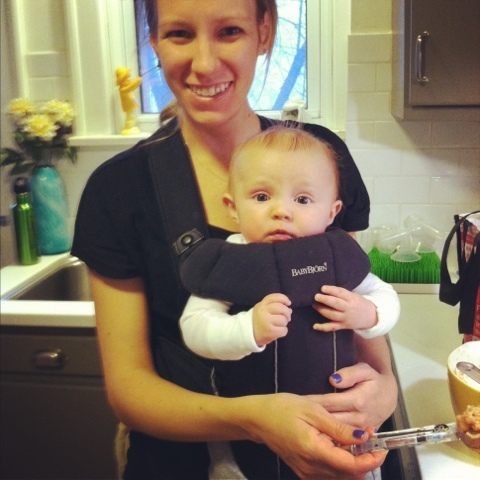 She's happy to hang out (literally) in the Bjorn while we expand our culinary horizons. I think she gets a kick out of all the colors, and smells...and I like having her cuddled up to me while I mutter to myself about measurements or ingredients. (and don't worry- we keep her away from anything hot, and make sure she doesn't get an eyeful of lime juice). 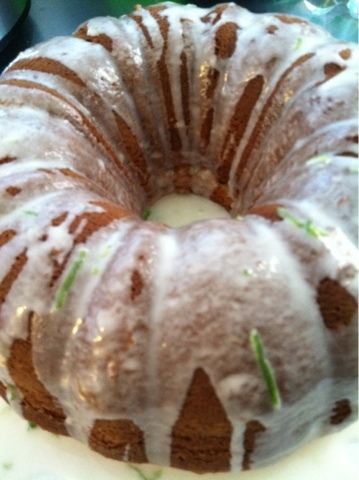 But I think her favorite so far was Margarita cake! 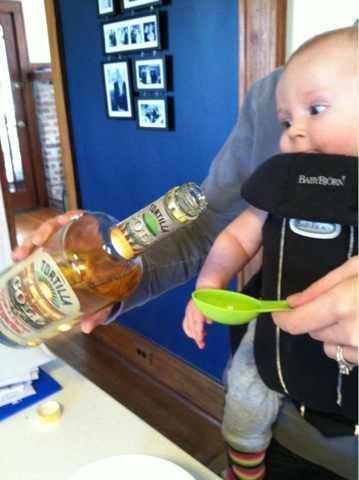 Only 20.6 more years 'til she can lick the beaters! That cake looks delicious! You and piper are adorable too! Linds- it's nothing you couldn't whip up with your eyes shut....But I was proud!